Bishkek saw some not-entirely-unprecedented turnover this month. In April, Kyrgyzstan’s Parliament saw some not-entirely-unprecedented turnover. Temir Sariyev, who had been prime minister since May 2015 (and reappointed after last year’s parliamentary elections) resigned amid a brewing corruption scandal linked to a road project contract won by a Chinese company. Although Sariyev denies the allegations, they nonetheless prompted his resignation. 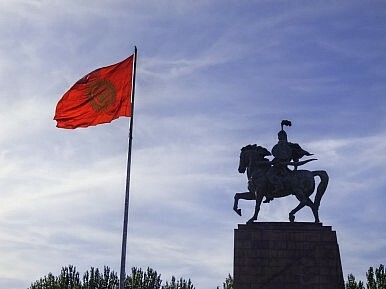 Central Asianists pointed out that Kyrgyzstan has had more prime ministers than years of independence. Many of Sariyev’s predecessors were similarly swept from office due to corruption scandals of one kind or another, not to mention Kyrgyzstan’s two revolutions, which ousted previous presidents, also featured corruption as a major grievance of protesting crowds. In the first round of a secret ballot to fill Asylbek’s then-vacant speakership seat, Kanat Isayev of the Kyrgyzstan Party and Bakyt Torobaev of the Onuguu-Progress Party tied, each with 51 votes. Isayev, the leader of the Kyrgyzstan faction, had featured in the parliamentary commission that led to Sariyev’s resignation. In the second round of voting for the speakership, however, Chynybay Tursunbekov of the president’s Social Democratic Party (SDPK), pulled 88 votes from the parliament (61 are needed to be elected). The cabinet remained virtually the same. Aside from the change in prime minister and speaker, the first depty prime minister and the transport minister (who was also embroiled in the inquiry that pushed Sariyev from office) were changed. Iskhak Masaliev replied curtly: “No” [to the question from Ata Meken member Saidulla Nyshanov]. Chynybay Tursunbekov gave more detailed explanation. “I think that the post of the Speaker of the Parliament is very responsible, and if I am elected a Speaker, I’ll most likely think about satisfying you[r] expectations, in order [for] the population not to criticize the Parliament,” he said. Last October, Kyrgyzstan held the Central Asian region’s fairest elections to date, though there were some criticisms. The country faces a significant number of challenges, many of which tie back into the region’s unfavorable economic climate and the lack of tangible progress promised by membership in the Eurasian Economic Union. Elections are one thing, another is actually doing the work of a legislature. Although some controversial bills are still in consideration, earlier this month news broke that some of the “sting” in the “foreign agents” bill would be removed from the latest draft. Kyrgyz-Germany relations on an even keel; Kyrgyz domestic politics a brewing storm.